Costa Rica is the perfect destination for all types of travelers on many different budgets. For those with a taste for the finer things in life, you can rest assured there are plenty of luxury accommodation options throughout the country. The following are some of the most luxurious places to stay during your vacation in this tropical paradise. Los Altos de Eros is a true utopia. 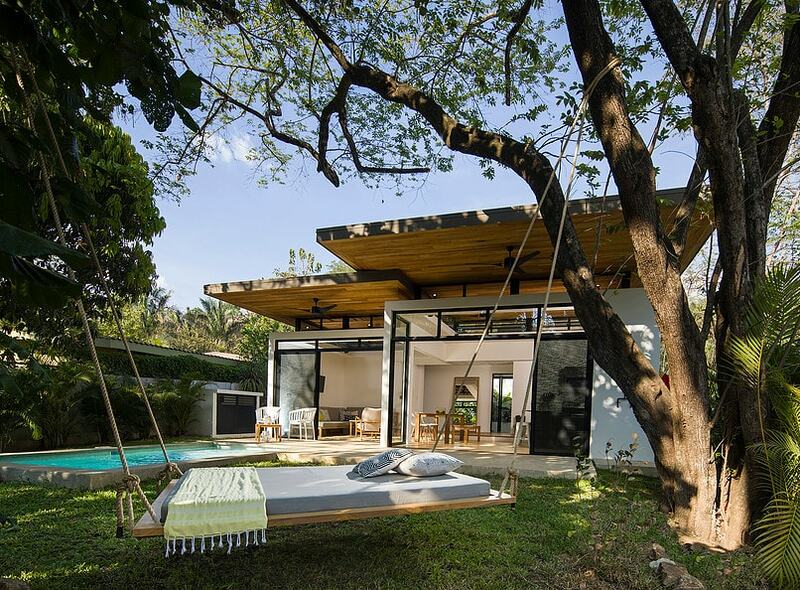 The small boutique bed and breakfast is elevated in the hills behind Playa Tamarindo. The remote and high elevation offers guests vast views of the valley, the forest below and the Pacific Ocean. It is breezy, quiet, secluded and romantic. While you can opt for individual spa treatments, their specialty is a spa package that includes three treatments of your choice, your own personal spa attendee and an exquisite lunch complete with wine. This luxurious and intimate hotel has just six rooms and there is even an option to take over the entire property, if you come with your own group. Nayara Springs is an adults-only romantic and luxurious boutique hotel located on the fringes of the Arenal Volcano National Park. 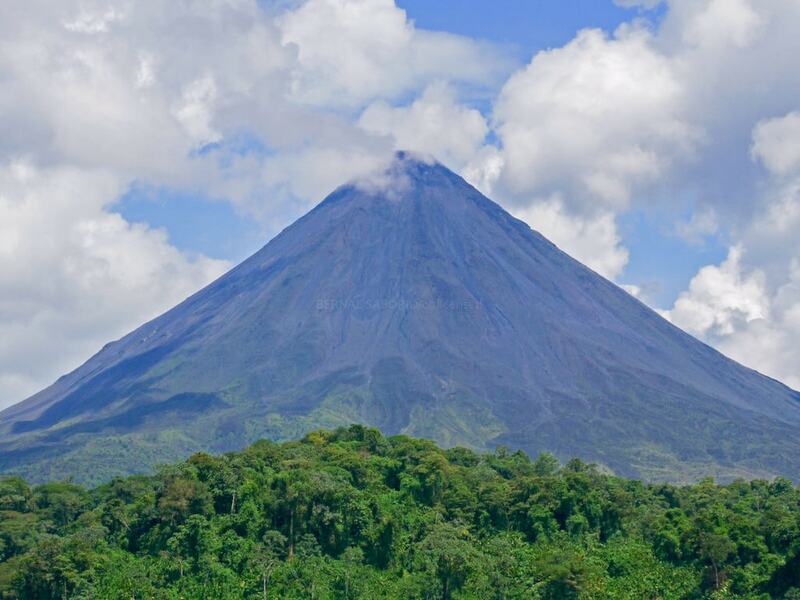 The backdrop during your stay is the active volcano and pristine lush rainforest. Each villa has its own private plunge pool fed by natural hot springs. You also have a private garden, an outdoor dual rain shower and a private host. The Nayara Spa is as exceptional as the hotel. You will receive the treatments of your choice in a private open-air pavilion. There are outdoor showers, a sauna and a jacuzzi at the spa too. Indulge in treatments like a chocolate clay body wrap, volcanic mud mask, or deep tissue massage. They offer various packages and a great selection of signature treatments. 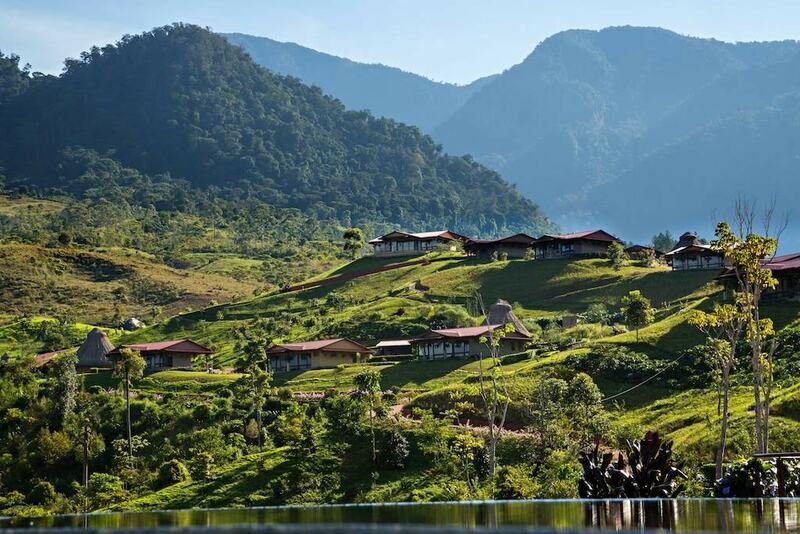 Hacienda AltaGracia is a boutique hotel overlooking the Valle del General in San Isidro del General. Every part of this 350 hectare property offers the most incredible views. This luxurious, yet authentic hacienda offers guests the most magical setting to enjoy a nature and adventure filled trip in Costa Rica. Enjoy authentic regional cuisine, horseback riding, hiking, cultural outings, yoga, spa treatments and some of the best panoramic views in the country. Hacienda AltaGracias offers the perfect blend of luxury and Costa Rican culture, nature and hospitality. 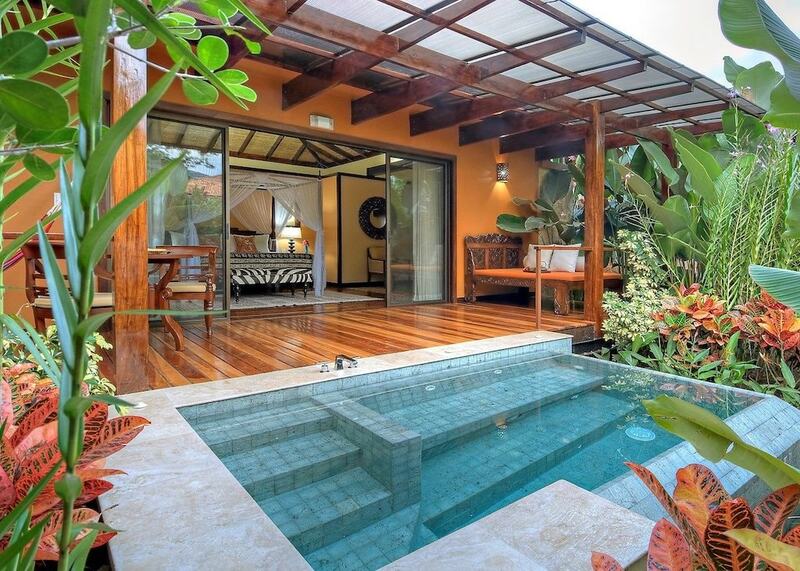 Nalu Nosara is a beautiful luxury eco villa retreat in Nosara. 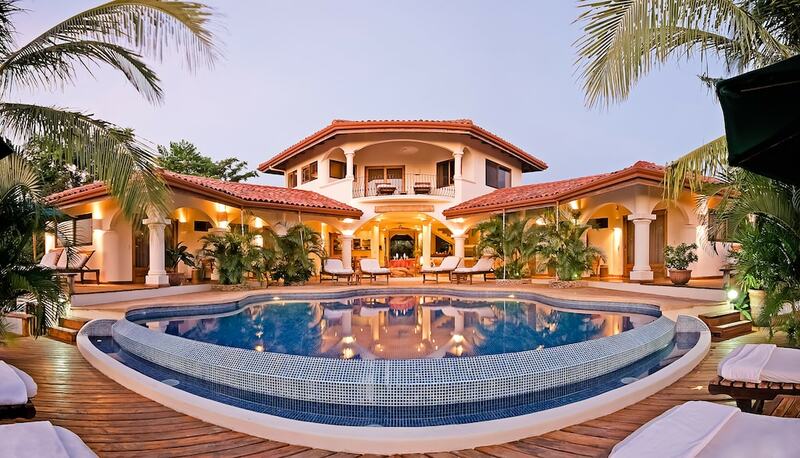 Each villa has its own pool, manicured yard, fully-equipped kitchen, inviting living space, indoor and outdoor showers and two or three bedrooms. The design is modern, open, airy and light. The feel at Nalu Nosara is very “home away from home.” It’s the perfect base for those interested in surfing, yoga and spending days surrounded by nature. The location is ideal for walking to and from the beach, as well as being close to restaurants, bars and shops. There is also a yoga and fitness studio with a variety of classes throughout the week. Hotel Punta Islita is a planet-friendly luxury boutique resort that includes an exciting selection of eco tours and activities as part of your stay. Art sessions, cooking classes, horseback riding and zip-lining are all complementary. It has an exquisite infinity pool and swim-up bar overlooking Islita Beach, an ocean view restaurant, five-star rooms and villas, a spa and even a beach club. This place is truly heaven on Earth. The Springs Resort and Spa is one of the most luxurious hotels in La Fortuna. Every detail of the place is luxurious. You can spend your vacation in a cloud-like bed with a perfect view of the Arenal Volcano, sipping perfectly crafted cocktails in a pool with a swim-up bar, or melting in relaxation in one of the multiple natural hot springs. Get pampered at the spa, eat at the sushi bar or fine dining restaurant, and take day trips to waterfalls and the rainforest. The 14,000 square foot spa at the Springs is world-class. There are all different types of body scrubs, wraps, polishes, massages and treatments incorporating the botanical and natural elements of Costa Rica, including volcanic clay, coffee, coconut, papaya and cacao. The views, ambience, amenities and location are all top notch. The Real Intercontinental is the most luxurious hotel in Escazu. If you are staying in San Jose and want five-star accommodation, service, amenities and restaurants, then look no further. There are four delectable restaurants, a beautiful lobby bar, a spa, heated pools, thirteen event rooms and plush suites. The location is in the heart of the city and close to one of the top shopping centers, the Multiplaza. Treat yourself by staying at the Real Intercontinental!